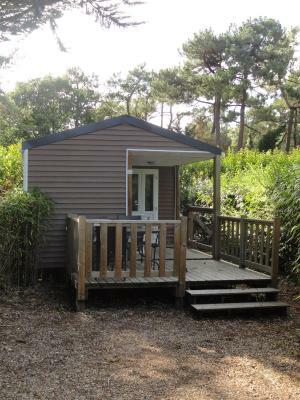 Lock in a great price for Camping Les Fougères – rated 8 by recent guests! The camping facilities were really good and we can't complaint about that. It was also near from the beach and if you rent a bike, then you will be in a few minutes in other parts of the island. Fabulous place, our third time visiting. Clean and comfortable cabin, friendly staff and excellent on site facilities, we will definitely be booking again. The campsite was very well maintained and clean. It is in an excellent location for discovering the island. It was particularly good for dogs as there was abundant dog walking next to the site. There was a good swimming pool and a spacious play area for children. Clean. Compact site. A feeling of privacy in our own space. Clean and functional - large covered decking area. Nice and cool when we arrived. 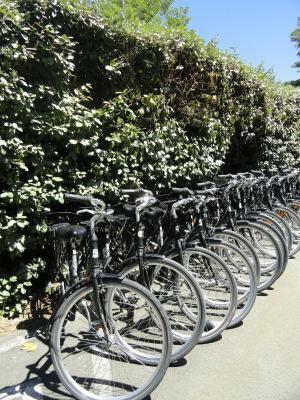 Wonderful quiet location on the Ile de Re - great for cycling, beaches , swimming etc. We had fabulous weather - I wouldn’t like it so much in rain- this goes for all camp type holidays. Excellent morning croissants and bread available on order from reception. Nice pool and shaded pitches. We were apprehensive travelling with a 3 year old and a 1 year old (we've only ever done hotels) but the accommodation was great and perfect for kids. Would definitely return. The powerful shower was also a winner for us. Bungalows are comfortable. Good place to stay two nights and visit Ile de Re. It's location, it's relaxed atmosphere and quietness. Offering a seasonal outdoor swimming pool, Camping Les Fougères is located in Rivedoux-Plage, between La Rochelle and Saint-Martin de Ré. Free WiFi access is available in this camping. The mobile homes will provide you with a terrace and a seating area. They also have a fully equipped kitchenette with a microwave and a refrigerator, and a private bathroom with a shower. Other facilities offered at the property include a children's playground. An array of activities can be enjoyed on site or in the surroundings, including cycling and table tennis. The property offers free parking. When would you like to stay at Camping Les Fougères? End-of-stay cleaning has to be done by guests before check-out. This mobile home features a stovetop, barbecue and kitchenware. This mobile home has a electric kettle, kitchenware and barbecue. This mobile home has a kitchenware, stovetop and electric kettle. House Rules Camping Les Fougères takes special requests – add in the next step! Camping Les Fougères accepts these cards and reserves the right to temporarily hold an amount prior to arrival. Upon request, disposable bed linen is available at an extra cost. Please inform Camping Les Fougères of your expected arrival time in advance. You can use the Special Requests box when booking, or contact the property directly using the contact details in your confirmation. The camping conditions were sent after you have done the reservation. For example: in Booking you don't see anything about the 400 Euro deposit that maybe charged to your card if some damages are made. Other thing that I saw in Booking is that you can choose to pay on site; however, according to the camping conditions, you have to pay it before you arrive, so, your card will be charged anyhow. I don't see anything wrong that they have extra conditions, but this must be visible before you book. The mobile home was cramped, the toilet compartment was very small and the lighting was bright LEDs with no facility for softer lighting. The bedroom light even stayed on dim all night,could not be switched off completely! There was little in the way of comfort, totally clinical and utilitarian. We stayed there for one night they have asked what time will we be leaving we said after 10am guy turned up 9.40 to check and take keys of of us. The sofa was covered in some dirt and had some marks all over we had to put blanket before we could sit on it. Had to pay extra for towels and bedding which worked out £22. The property doesn’t have a bar or restaurant for socialising. It is a one kilometre walk to the nearest shops and eating places. Would have liked the swimming pool to stay open a bit later. Toilet was compact and a blind in he bathroom and toilet would be good. Parking was a little tricky as we had to reverse down a track past other mobile homes to get to ours. Nowhere to turn if you drove in. The photo of the accommodation was of a "superior" mobile home - we had a "standard" which was adequate if rather small. Perhaps access to a small shop. The pool. The bike hire. lovely quiet site . good mobil home very clean. Size of room. Booked for 7 persons but only had 6 beds. The site provide mattress covers but definitely take your own bed sheets and towels.